In case you are not one of the 1.3 million+ viewers who’ve seen this captivating video circulating the blogoshpere — here you go! 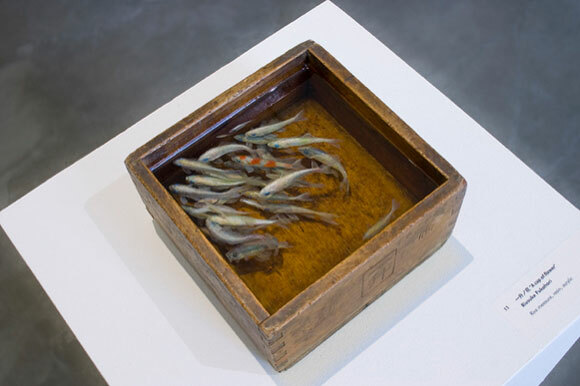 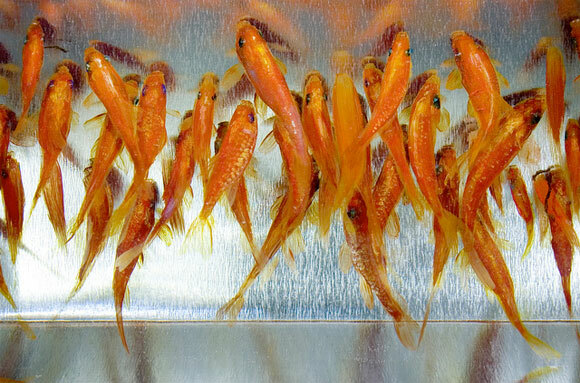 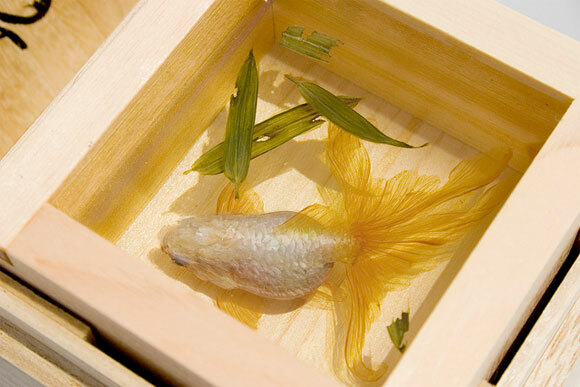 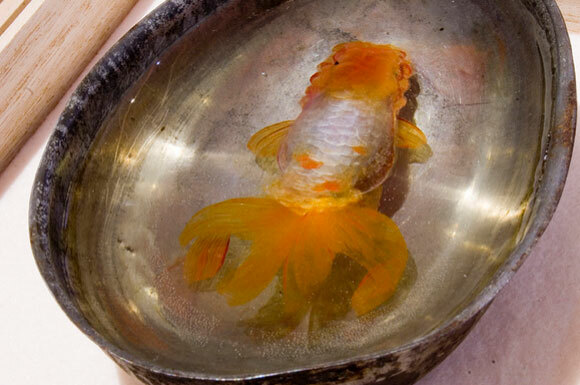 Japanese artist, Riusuke Fukahori takes us inside his studio as he prepared for his recently opened solo exhibition, Goldfish Salvation at the ICN Gallery in London. 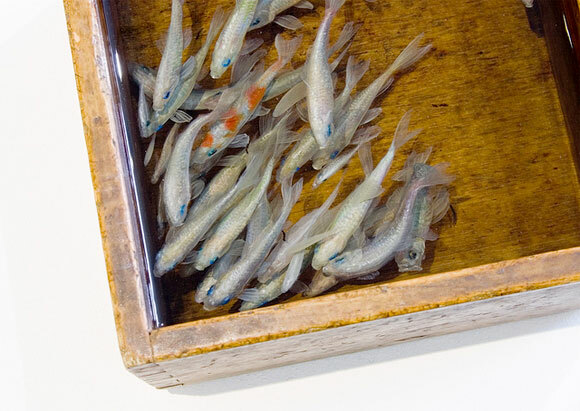 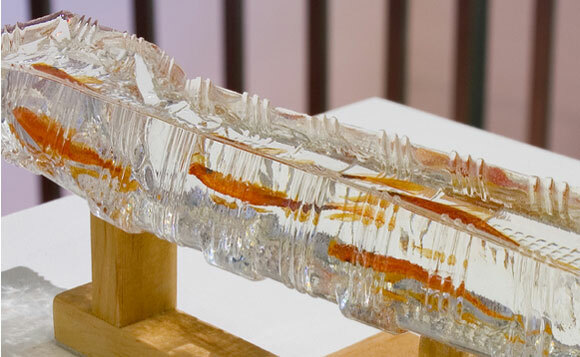 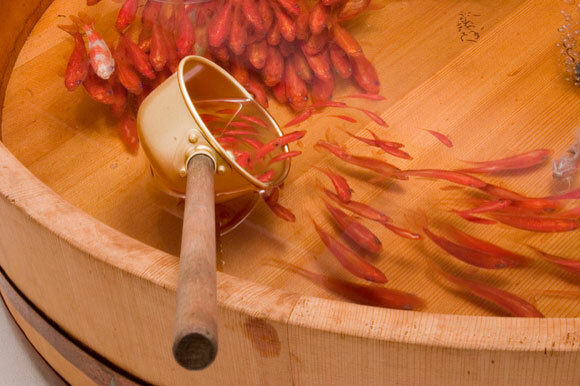 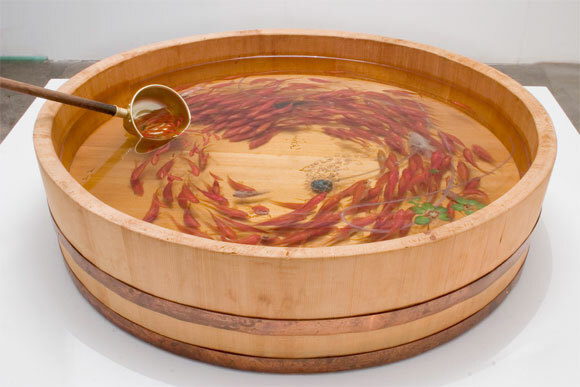 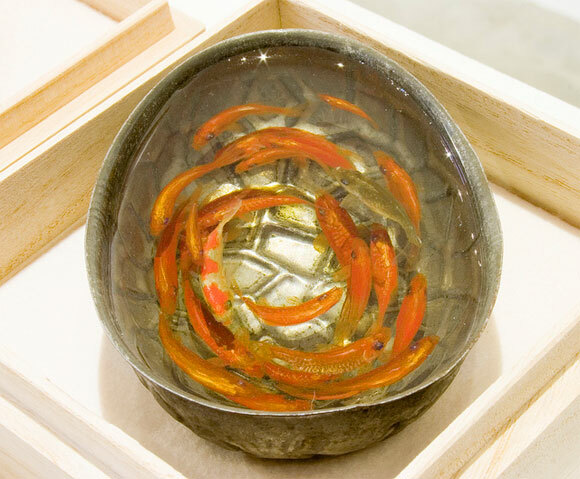 Watch in amazement as Riusuke’s masterful process of painting is infused with layers of clear resin to create some jaw-dropping 3-D sculptures of swimming fish.